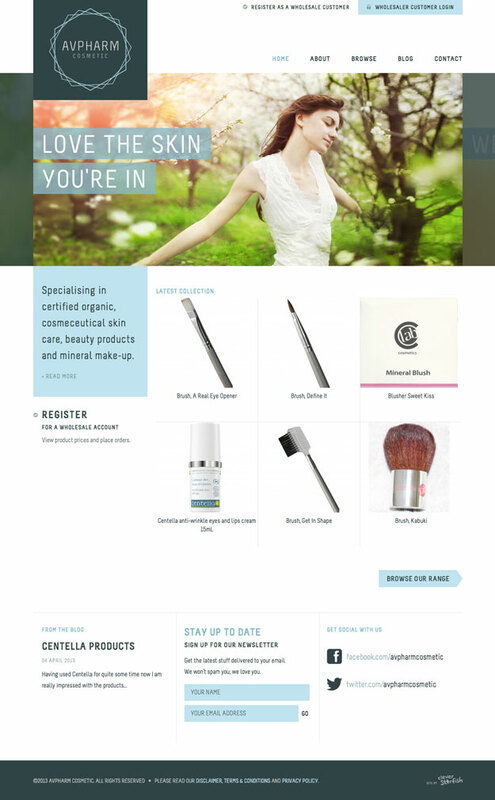 Avpharm is a new wholesaler of organic cosmeceutical beauty products and mineral makeup based in Northern New South Wales. 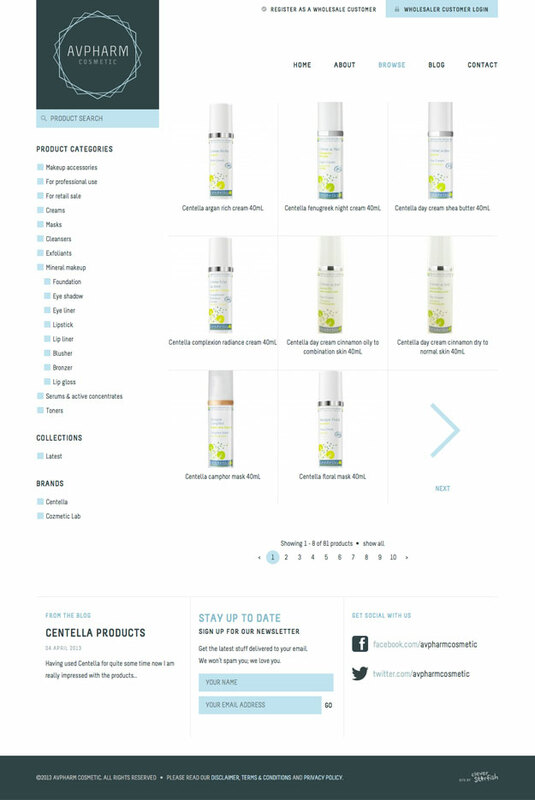 The site has a clean look reflecting the precision and freshness of the products for sale, with featured products able to be shown on the home page with a single click in the Tentacle catalogue back-end. 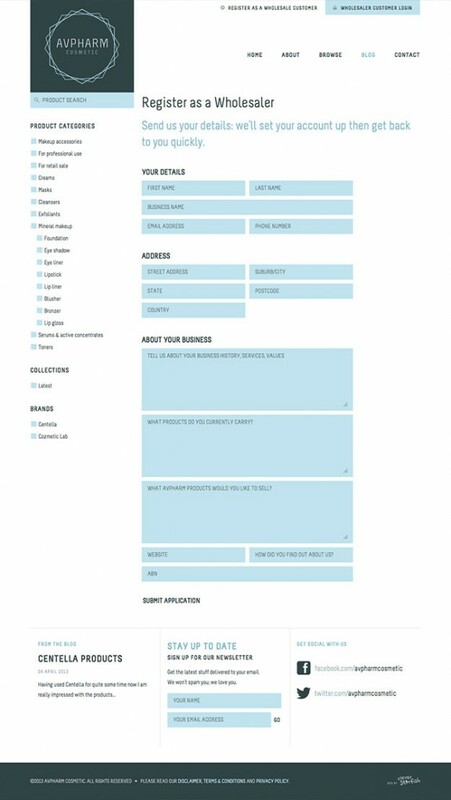 Registering as a wholesaler is easy and minimises the effort required for both the user and Avpharm.